I also side-eye many health trends. Marketing can do a lot to exaggerate the healthy powers of a food or drink, such as the recent “superfood” trend. Herbal teas, particularly in bagged form, are popular in grocery store health aisles. I did some research and found mixed results. 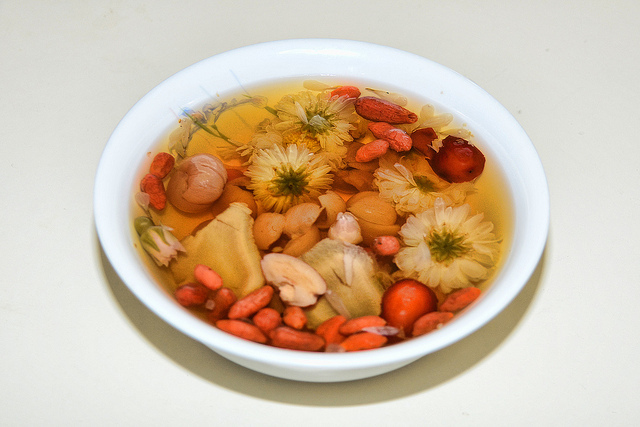 While I found many articles about the health and medicinal benefits of herbal teas, some articles contradicted these statements, citing a lack of scientific evidence. However, some herbs such as ginger, hibiscus, and peppermint turned out to be legitimately helpful, particularly when consumed a few times a day. I’ve also met plenty of people who consistently turn to certain herbal teas when they’re not feeling so hot, because they know from past experience it will help them feel better. My conclusion is this: although I make no guarantees, I think herbal teas are worth trying if you’re looking for something besides pills to make you feel better. Every person’s body is different, so what works for one individual may have no effect on another. Tea, as I always say, is a supplement to a healthy lifestyle. And if you like the taste of certain herbs, well then, there’s no question! 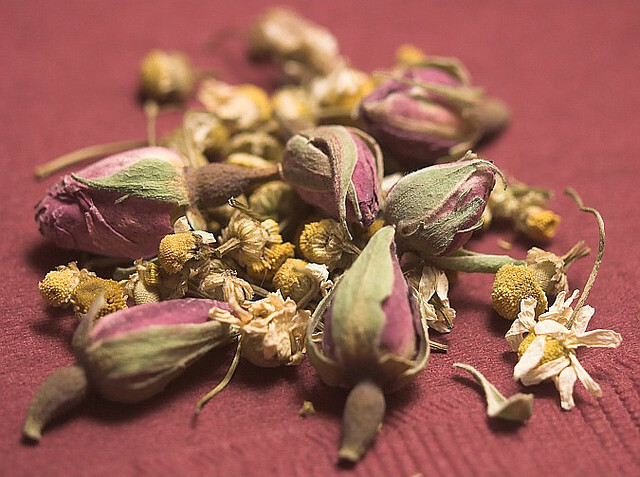 There’s a tea for just about every kind of herb out there. I’ve compiled a list of the most popular, along with the medicinal benefits they’re supposed to have. Chamomile – Soothes sore throats. Supposed to have relaxing properties; you see this a lot in “sleepytime” and “bedtime” teas. Echinacea – Boosts the immune system, good for colds. Ginger – Soothes stomachaches, speeds up digestion. Hibiscus – Helps lower blood pressure. Lavender – Calming, uplifting; sometimes considered an antidepressant. Lemon balm – Calms nerves, aids anxiety. Lemongrass – Aids digestion as an after-dinner drink. Peppermint – Soothes an upset stomach, aids indigestion, helps relieve headaches. Rosehips – High concentration of vitamin C, supports the immune system. 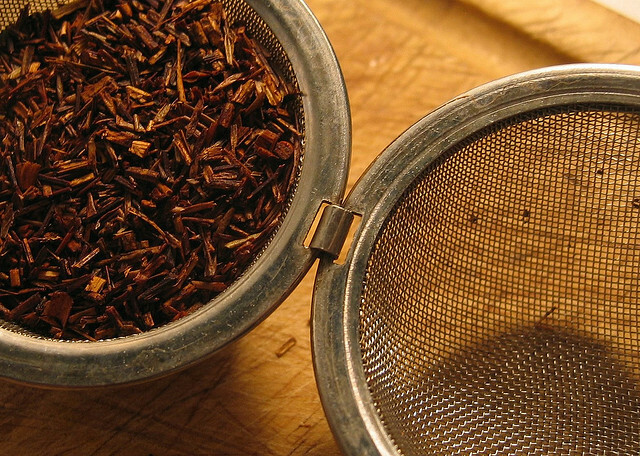 Rooibos – (ROY-bus) A very popular herbal tea, rooibos is made from the leaves of a South African bush and enjoyed as much for the color and flavor as for its immune system-supporting qualities. Yerba mate – (YUR-bah MAH-tay) Made from the leaves of the yerba mate plant, most commonly found in Argentina and surrounding South American countries, this is one of the rare herbal teas that serves as a caffeine alternative, providing a clean, smooth boost of energy. If you’re going for a tea’s health/medicinal benefits, research the herb first. Make sure you know what it does and that it won’t have any wonky side effects. Especially if you’re pregnant, on medication, or otherwise susceptible to certain substances. When in doubt, ask your doctor. Stay with major retailers and reputable tea stores. Read the ingredients. If you see laxatives like aloe or castor oil, or anything else that could potentially be harmful, stay away! The “Herb” tab on this alternative medicine guide by the University of Maryland Medical center is a good way to learn about many popular herbs. Got a go-to tisane when you’re feeling less than your best? Or a favorite yummy infusion? Tell me all about it in the comments!